Joining the gym and committing to a healthier lifestyle with programs like personal training are a great start to losing weight and getting healthy. 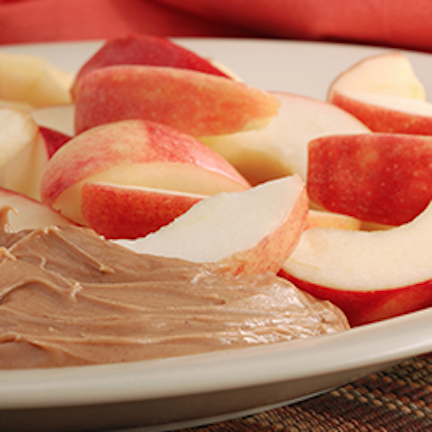 But you might wonder, “What are the best post workout snacks for weight loss?" The best foods to eat after your workout include a combination of clean complex carbohydrates, to replenish your body’s glycogen stores; and lean proteins, to rebuild damaged muscle tissue. Interested in fast-tracking your weight loss? 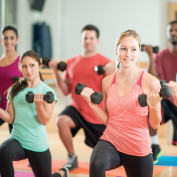 Download our FREE Guide: Group Fitness For Weight Loss. You can put together your own combinations of nutritious post workout snacks and shakes if you know these nutrition basics. A successful weight loss story will hinge upon a simple equation of healthy eating and balanced fitness. We want lean healthy protein to rebuild our muscles, and sugar to replace the glycogen stores in those same muscles. Any number of combinations would work, but certain combos have become favorites because they are portable, delicious, easy, or a combination of all three. Whole grain bread plus lean chicken breast equals delicious, and very portable. Try using hummus as a spread for some moisture, and add some lettuce for crunch. 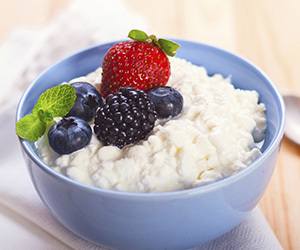 Cottage cheese has a high sodium content, which really brings out the taste of fruit, and can replenish lost salt if you’ve had a particularly sweaty workout. Pineapple, strawberries, and blueberries are among fan favorites in this craveable combination. If you have a favorite whey protein, add a banana to it, and voila! Here you have one of the fitness industry's all-time favorite go-to post-workout, weight-loss-friendly snacks. Whey protein shakes can be found in very low-calorie doses, packing high-protein punches with great flavor. Throw in the fact that you can just add water whenever you are ready, and the portability factor goes way up. Here’s a great vegetarian post-workout meal option, if meat isn’t your thing. Whole-grain pita bread is soft, delicious, and full of clean carbs to replenish your body’s glycogen stores, and hummus is a decent source of protein that will make your muscles happy. Greek yogurt is a great source of protein, and fruit is, of course, a natural source of sugar that our bodies love. After a tough workout, replenish your cells and speed weight loss with this combination of lean protein and healthy sugars. Plan ahead and have your after-workout weight loss meal or clean eating snacks ready to go when you get done at the gym. The satisfaction of a job well done, and a delicious snack on top of it, will be all the push you need to keep you striving toward your weight loss goals.